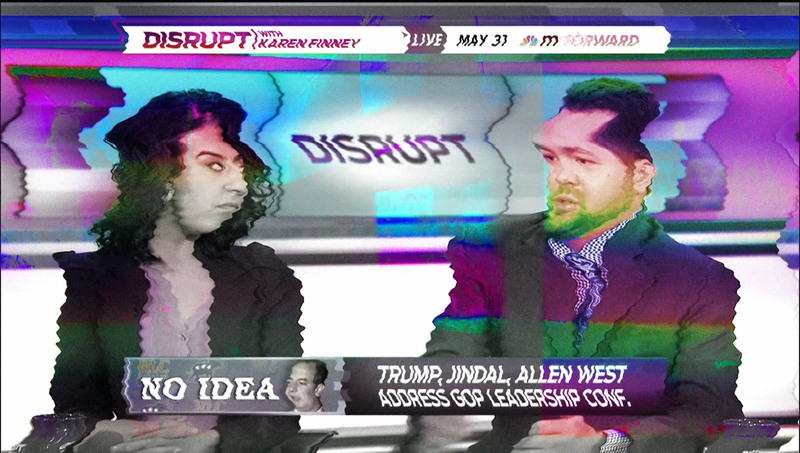 Karen Finney calls her MSNBC political show “Disrupt.” What exactly she is disrupting is up for debate. Most likely the right wing point of view, or perhaps more idealistically, whatever memes may be coursing through the 24/7 news cycle at any given moment in time. Nonetheless, she is just another articulate and entertaining pundit contributing to the noise: the echo feedback system in which heated perspectives and polarized viewpoints reverberate endlessly through the labyrinthine halls of cable news media. 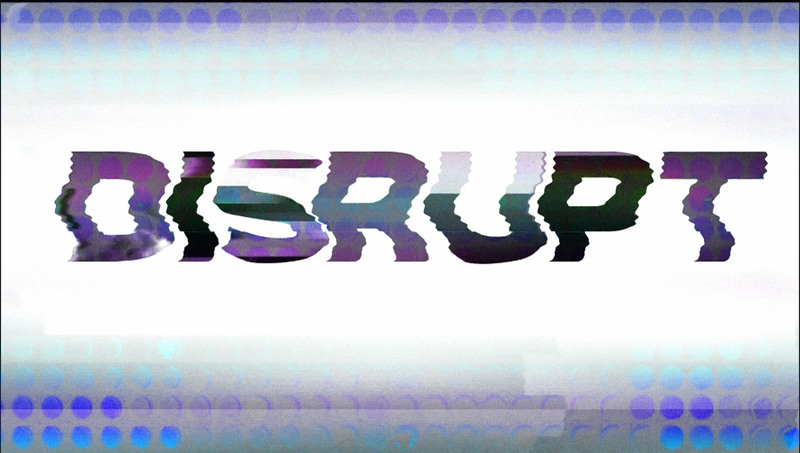 I have chosen a different kind of method, which I would refer to as the art of disruption, one that finds itself in the hallowed efforts of the artistic avant-garde: the détourned manipulations of appropriation and collage. 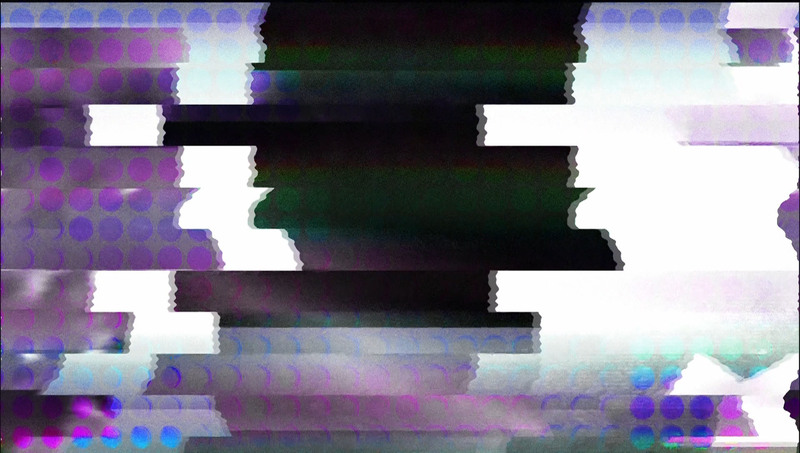 You could say it aspires to an act of TOTAL disruption bordering on chaos, since it intentionally seeks closure to the original message, stopping it dead in its tracks, only to shift the conversation in a new direction, like an information bomb that shatters the noise into its elemental parts. Why might you ask? In our system of democracy, balance, and the multiplicity of voices: why bring the conversation to a dead halt? It’s something like when a car alarm goes off, for no other reason than to bring attention itself, caused by an unintentional bump, an act of nature, or perhaps just some random mechanical malfunction. Most of the cable chatter is just that: an annoying, dysfunctional alarm system that primarily serves to bring attention to the repetitious sounds of its protagonists. It is my job, as an artist, to turn off the alarm, at least momentarily, by amplifying, twisting, fragmenting and even erasing its message as an aesthetic disruption. And oh, what a relief when the alarm ceases and silence prevails!